Sam Gennawey sat down with me at the Walt Disney Family Museum to discuss his new book Universal Versus Disney: The Unofficial Guide to American Theme Parks’ Greatest Rivalry. Currently, the Walt Disney museum is showing an exhibit featuring Walt’s Trains. Sam shares the deciding factor in the closing of Walt Disney’s home railroad, the Carolwood Pacific. This episode is filled with amazing stories; ranging from the Universal versus Disney rivalry to the thematic elements of the Disney Animal Kingdom. We also put the question to you, what would you do if you were king of Disneyland? This week’s secret comes from Sam and his book The Disneyland Story: The Unofficial Guide to the Evolution of Walt Disney’s Dream . On board the Disneyland Jungle Cruise look for the large Banyan tree in the angry hippo section of the attraction. This tree was purchased from a home in Beverly Hills in early 1955. 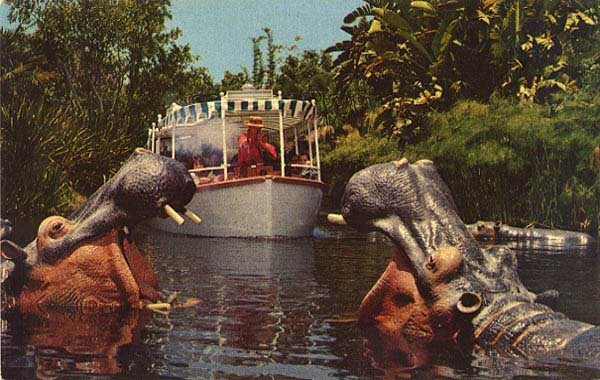 Harper Goff, the designer of the Jungle Cruise, and Bill Evans, the chief landscaper for Disneyland, were looking for a tree to fill the hippo scene background. Goff and Evans used to cruise the streets of Beverly Hills looking for trees for the parks. One day they discovered the perfect tree in the front yard of a Beverly Hills house. They knocked on the door hoping to strike a deal with the homeowner. The owner hated the tree and said that they could have the tree if they removed the Banyan tree and planted something new. The Disneyland team took the tree and planted it in the Jungle Cruise attraction and it is still beautifully growing in the parks today. Walt and the Promise of Progress City – Sadly, Sam’s first book is out of print, but a second printing will be available in the coming months. 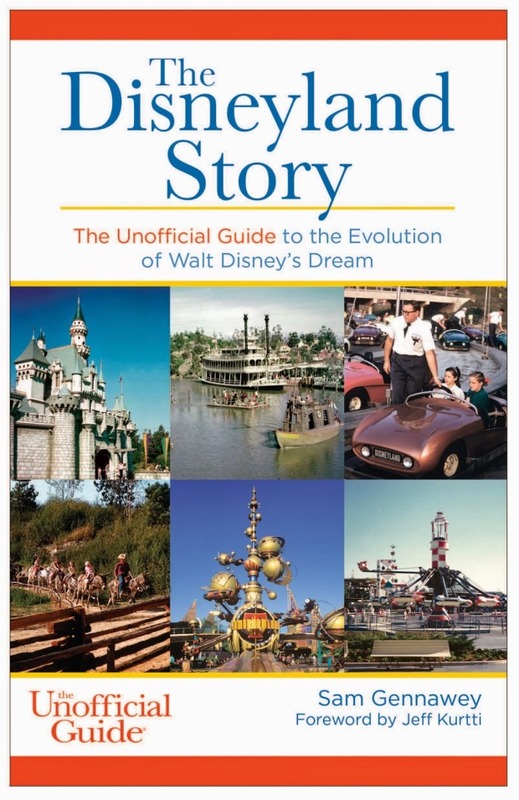 The Disneyland Story: The Unofficial Guide to the Evolution of Walt Disney’s Dream – This was Sam’s second book detailing the evolution of Disneyland. Universal versus Disney: The Unofficial Guide to American Theme Parks’ Greatest Rivalry – Sam’s newest book is now available for pre-sale on Amazon. Quick! Add this to your wishlist and people will have time to order this great Disney book for you before Christmas. Thanks to all of you for listening for the podcast. I really appreciate getting to share my interviews with you each and every week. If you are enjoying the show, please leave us a review on iTunes and take a listen to our previous episodes. Thanks to everyone who has already written a review. Find the Disney Dose podcast on iTunes and on Stitcher Radio. For more information on the Disney Dose podcast click here.